A widespread approach to modern cancer therapy is to identify a single oncogenic driver gene and target its mutant-protein product (for example, EGFR-inhibitor treatment in EGFR-mutant lung cancers). However, genetically driven resistance to targeted therapy limits patient survival. Through genomic analysis of 1,122 EGFR-mutant lung cancer cell-free DNA samples and whole-exome analysis of seven longitudinally collected tumor samples from a patient with EGFR-mutant lung cancer, we identified critical co-occurring oncogenic events present in most advanced-stage EGFR-mutant lung cancers. We defined new pathways limiting EGFR-inhibitor response, including WNT/β-catenin alterations and cell-cycle-gene (CDK4 and CDK6) mutations. Tumor genomic complexity increases with EGFR-inhibitor treatment, and co-occurring alterations in CTNNB1 and PIK3CA exhibit nonredundant functions that cooperatively promote tumor metastasis or limit EGFR-inhibitor response. 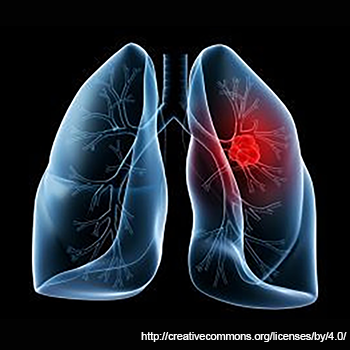 This study calls for revisiting the prevailing single-gene driver-oncogene view and links clinical outcomes to co-occurring genetic alterations in patients with advanced-stage EGFR-mutant lung cancer.